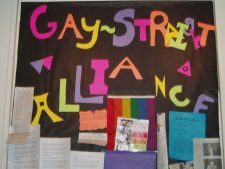 A Canadian pastor is standing firm after being ordered to allow gay-straight alliances to be formed at his Christian schools. According to reports, on Sept. 2, Alberta Education Minister David Eggen sent a letter to Brian Coldwell, the chairman of the Independent Baptist Christian Education Society and pastor of New Testament Baptist Church, to demand that he allow the alliances at his two schools as per provincial law. Coldwell runs Meadows Baptist Academy and Harvest Baptist Academy in Parkland County. Earlier this year, Eggen sent a letter to school boards throughout the province, advising that officials must draft and submit policies by the end of March surrounding how they would accommodate homosexual and transgender students.